China's Belt and Road Initiative is a massive infrastructure project that aims to develop the overland trade route from China to Europe. Based in part on the old Silk Road, it has the possibility to breathe life into economies, but perhaps also change local communities. 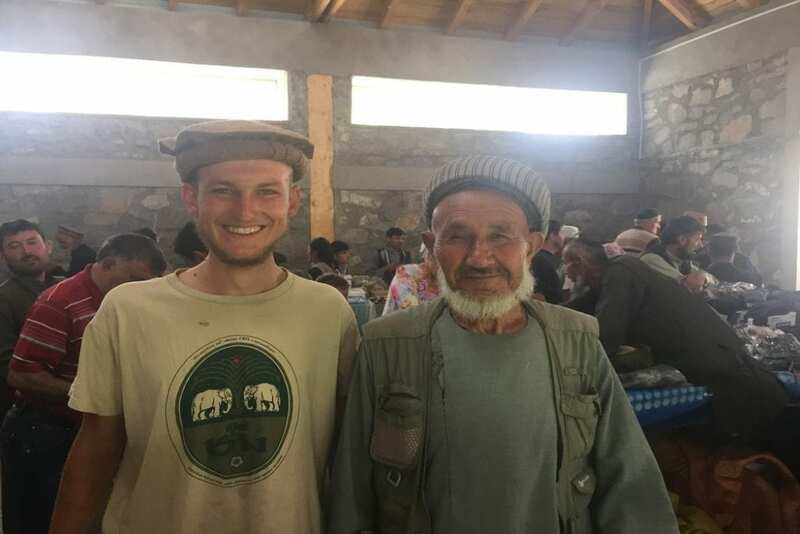 A group of students are set to discover what it's all about with their New Silk Road Project. A couple of years ago, I featured two cyclists who were riding the Silk Road from Beijing to Tehran in my semi-regular ‘Meet the Cyclists‘ interviews. Recently, they got back in touch with me again about a new overland trip they are preparing for. Dubbed The New Silk Road Project, they are swapping bicycles for a 4WD, and adding a few new team members as they drive from London to China. Intrigued, I wanted to find out more, and so decided to interview them again. Here's what the New Silk Road Project is all about in their own words. Please introduce yourselves, and give a bit of background as to who you are, and how you know each other. Hi Dave, we’re Rob, Charles, Tom and Will and together make up The New Silk Road Project. We are all currently at universities dotted across the UK and US (Charles: St Andrews, Tom: Georgetown, Will: Bath, Rob: Goldsmiths). 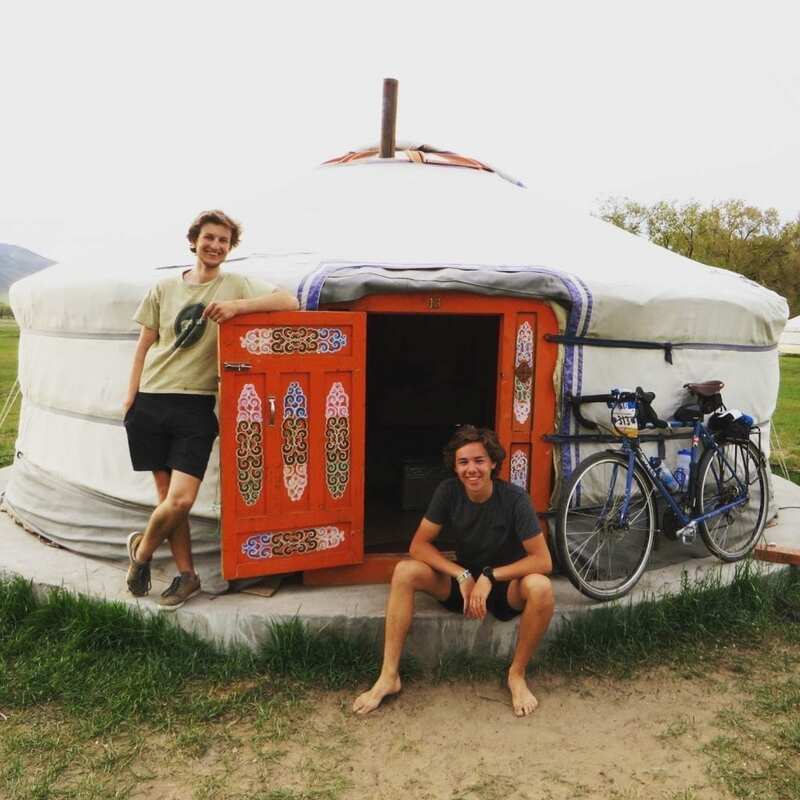 Will and Charles cycled the Silk Roads from Beijing to Tehran in 2016 over 114 days, I found their new project with Tom on twitter in November and we’ve run the digital can from there. This time around the bikes have been replaced by a cylinder engine, the days cut in half (60 days), and the route plotted from doorstep to Pacific, chasing the freight trains that now run direct from Barking, East London to Yiwu, on China’s eastern ocean edge. I’ve yet to spot one in Barking but when we do we’ll pass on our wager and fire up the startline cylinder. We’re hoping to lay a blueprint for students interested in understanding the shape of future trade and cultural relations at an important time in their development. In ten years, the world will likely look very different to how it does now, and China’s $1 trillion infrastructure initiative in the BRI will likely be at the fore of these changes. We’re hoping to write, record and connect up our various experiences at the more than two dozen current and emerging Silk Road hubs that we we’ll be visiting. We want to understand the way in which infrastructure intersects the social and economic aspirations of individuals. It can’t be ignored that the New Silk Road Project does also currently find itself at a time when protectionism and insularity are re-emerging on the global stage and so in a small way the Project is also about generating connections on the ground with the individuals we meet that go beyond these narratives to open rather than foreclose dialogue. There are obviously limitations we’re aware of as to how much we can truly connect travelling at such speed and with the privilege of movement but we’re also hopeful, adventure does after all hold a universal currency, and one better than any blockchain or coin collection I think, in its lightness to connect. The route we’ve drawn up takes us through 19 countries and we’ve ambitiously provisioned 60 days. The plan is to drive the car to Yiwu and to ship it back to London from Shanghai Port at the beginning of August. I haven’t yet started dreaming lucid of that chassis re-emerging from the belly of its cargo liner at Felixstowe but I imagine we all will at some point, mid-way through July most probably, on the Kazakh Steppe, dehydrated with one wheel missing and a tumbleweed drifting past. The route follows the historic Silk Roads across across Belgium – the Netherlands – Germany – Poland – Belarus – Latvia – Russia – Ukraine – Moldova – Romania – Bulgaria – Turkey – Georgia – Azerbaijan – Kazakhstan – Kyrgyzstan – Kazakhstan – China. What vehicles are you using for the trip? Hopefully a 4×4 – we are just finalising up the details on this with Fiat-Chrysler (they own Jeep). Have you undergone any special preparations – learning vehicle repair etc? Vehicle repair is a definite must that we’re each getting to grips with and we’ve also taken measures to identify mechanics at each hub we will be visiting. In addition we have made special security preparations working closely with the Center for Strategic and International Studies to identify our route and any specific considerations to account for at each border we will be crossing. With regards to connecting with individuals and organisations at each hub, we have also sent out broad invitations by email to get the ball rolling before we arrive, the bureaucracy is a slight stop-start slow-sprint. This is quite an undertaking – how have you arranged funding? We have received a stipend from the Center for Strategic and International Studies based in Washington, support from our universities as well as some pocket money we have saved to pay for personal expenses. CSIS are running a large project called Reconnecting Asia which we aim to contribute towards and we are in the process of working on the details of some other exciting collaborations. What sorts of permissions do you need? Visas? Guides? We need 5 in total, this was originally 7 as our route was to include Iran and Turkmenistan but time constraints mean't that this additional distance would risk making the project superficial. This is why we adjusted. Sounds great – do you need a driver?!?!!! Yes, an extra driver would not go amiss, one who knows engines, wheels and what will go wrong all the better. You can follow our journey at thenewsilkroadproject.com where we will posting on our blog and gallery throughout the trip. We will also be on Instagram, Youtube and Twitter .